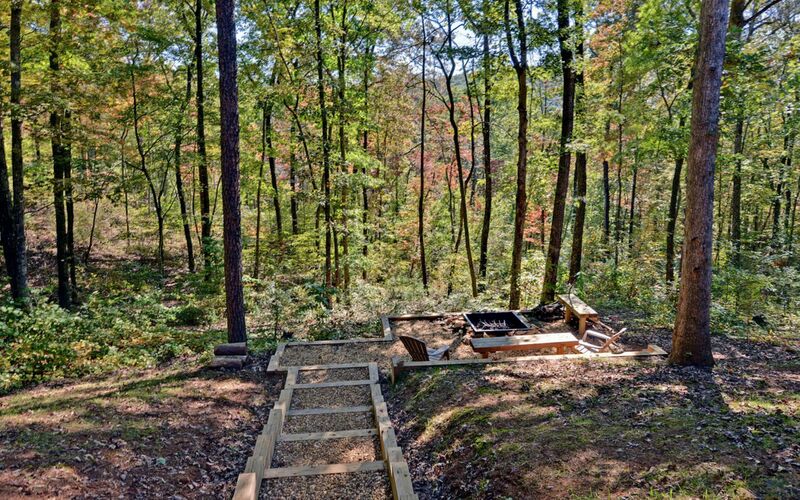 Guests of 100 Acre Woods, a modern take on the mountain vacation cabin near Blue Ridge are always delighted to find the peaceful seclusion provided by a gated community as well as the proximity to the Toccoa River and Ocoee River. 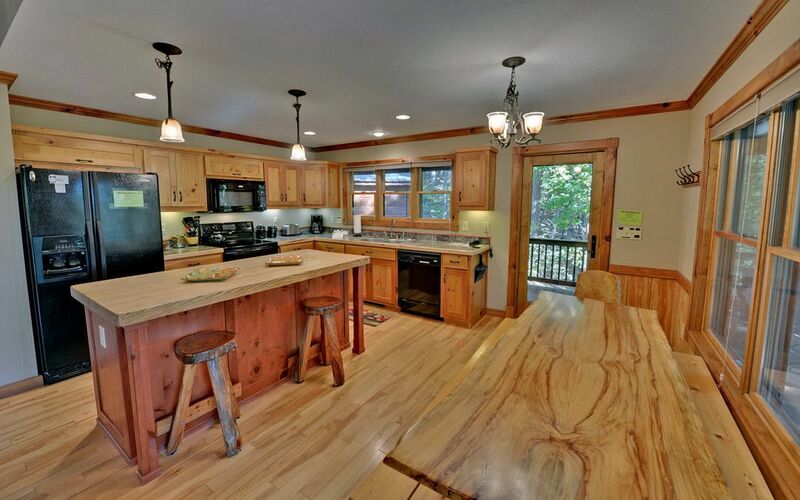 A golfer's dream, fishing and whitewater enthusiasts will also love this location. McCaysville, Copperhill and Blue Ridge are all a short drive away. 100 Acre Woods has few neighbors and a storybook setting, with the beauty of the mountains and lush natural landscape. Enjoy hiking, biking, fishing, whitewater and especially relaxing. 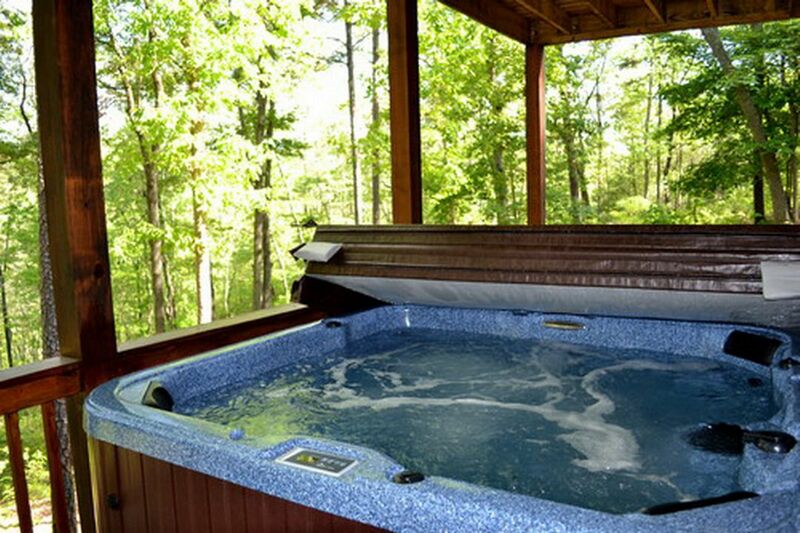 Guests of 100 Acre Woods will enjoy the taking in the mountain air while relaxing on the main level's spacious three-quarter wrap around covered porch. 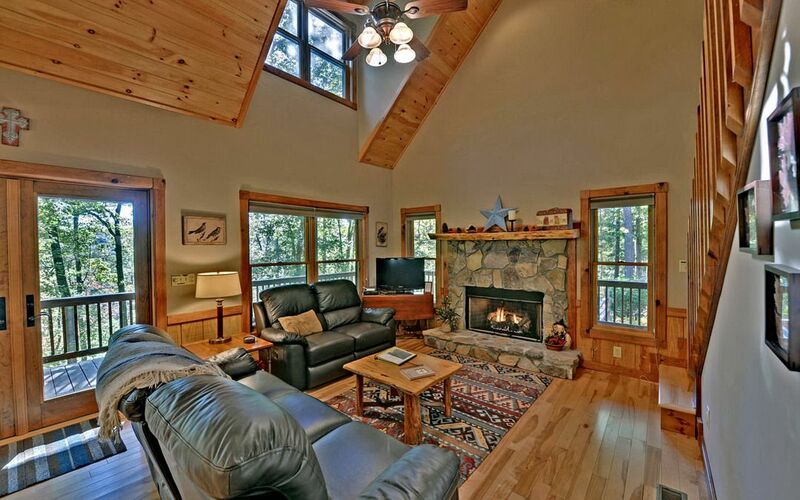 Also on the main living level guests can access the cabin's fully equipped kitchen, great room with seasonal gas log fireplace, as well as a large Master Suite with king bed, a flat screen TV, and access to the serene covered porch seating. 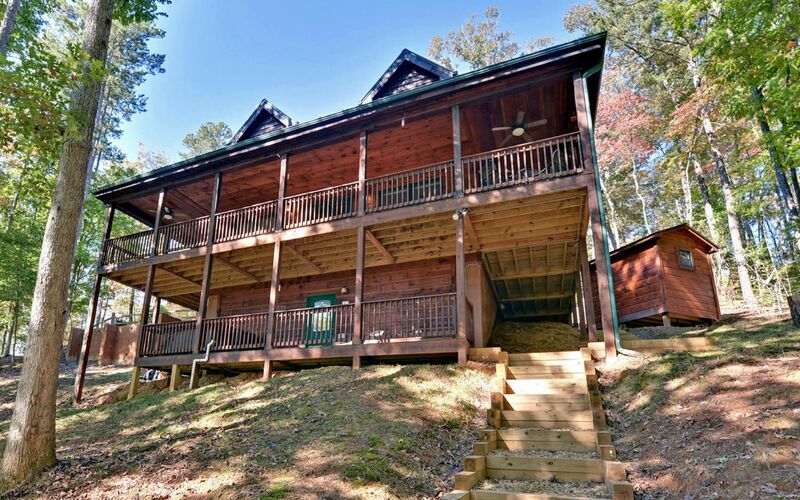 100 Acre Woods loft level holds the cabins remaining 2 private bedrooms, each with its own Queen bed, TV, and a shared full bath. While 100 Acre Woods terrace level is devoted to relaxation and play-- guests can choose to either lounge inside in front of the game room’s flat screen, play a game of pool, or step outside and unwind while soaking in the cabin’s bubbly hot tub, or venture down to the fire pit for s’mores or a hot dog roast! Please Note: 100 Acre Woods is NOT a pet friendly property. 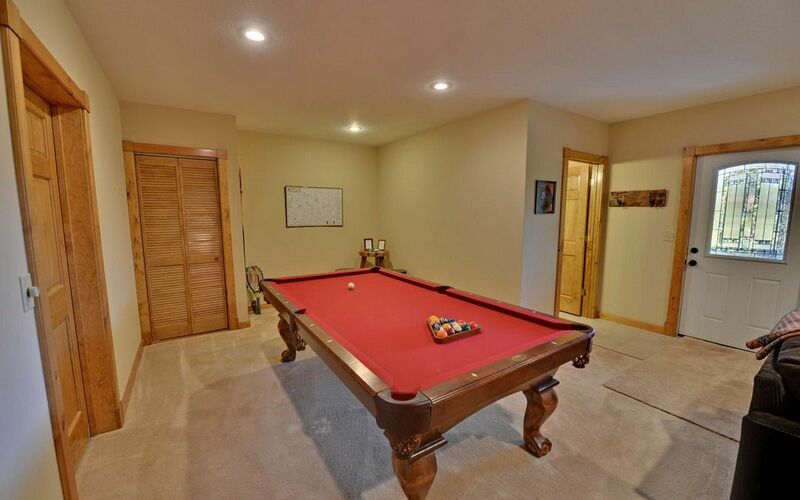 See all of 100 Acre Wood Amenities and Features!